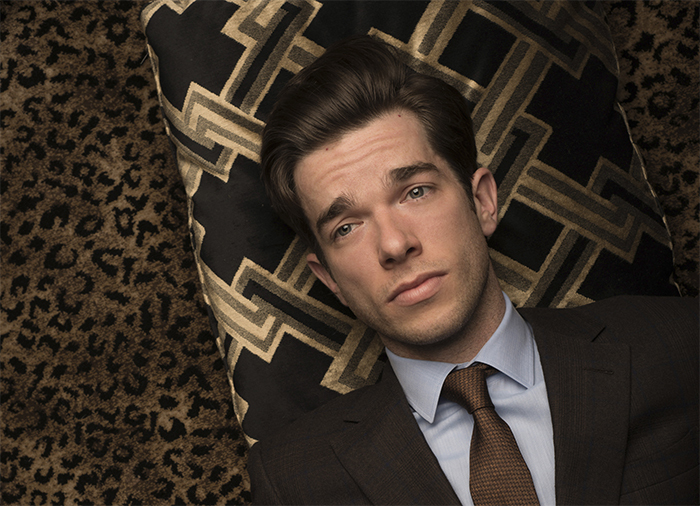 John Mulaney is a comedian who originally hails from Chicago but currently calls Los Angeles home. One of the most gifted comedic voices of his generation and a brilliant standup, Mulaney wrote for Saturday Night Live between 2008 and 2014, co-creating memorable characters like Bill Hader’s Stefon. Recently he and Nick Kroll conceived of a pair of elder, opinionated New Yorkers in a stage show called Oh, Hello on Broadway, which they took to Broadway and filmed for a new Netflix special, which debuts June 13. His own 2015 standup special for Netflix, The Comeback Kid, is coming to vinyl, CD, and mp3 in June as well, courtesy of Drag City Records, and he’s touring his new show, Kid Gorgeous, across North America, including stops in western Canadian cities and a stand at Just for Laughs in Montreal in July. John and I caught up recently to discuss most of the aforementioned projects and people, as well as Donald Trump, Hasan Minhaj’s remarks at the White House Correspondent’s Dinner, Jerry Seinfeld, Donald Trump, the Obamas, comedy’s role in the current political climate, Seth Meyers, meeting Bill Clinton in 1992, another new show he’s making with Nick Kroll, music, and much more. Sponsored by Pizza Trokadero, the Bookshelf, and Planet Bean Coffee. 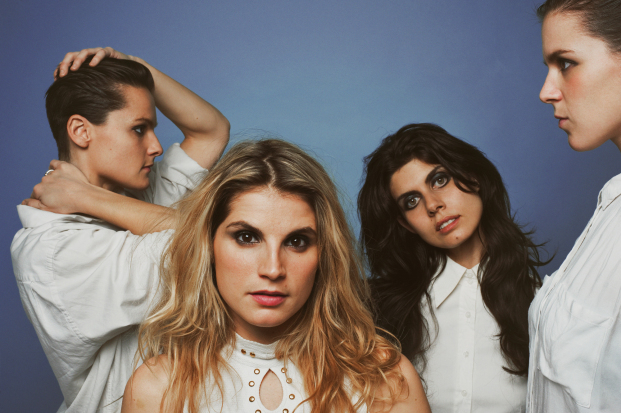 TEEN is an inventive pop band from Brooklyn, New York consisting of sisters Teeny, Lizzie, and Katherine Lieberson and Boshra AlSaadi. Their latest album is called The Way and Color , which is out now via Carpark Records, and it prompted them to visit the Halifax Pop Explosion this past October to play some shows. We ended up doing a live interview at the HPX and I recorded it somewhat primitively for you to listen to ahead of their show with We Are Scientists at the Brooklyn Bowl on Thursday November 20. Here, TEEN and I discuss three sisters from Halifax who live in New York, Miami and The U, partying, SMU, Syria to Pennsylvania to New York, Halifax is cool, playing Halifax for the first time ever at the Carleton last month, perceptions of Halifax, Americans don’t know much about Canada, Newfoundland time, me and my son’s Ramones haircuts, things get personal, the Halifax pop explosion and Sloan, not going to many shows, when the music scene slowed down, VICE is taking over Williamsburg in Brooklyn, following Teeny, singing Broadway tunes as kids, musical careers, food in New York, Pizza Corner, Jane’s and Edna’s, good Indian food and then a bad room service call, double entrees, going to live boring and fun talk show tapings in NYC, I went to Letterman once, taking NYC for granted, Teeny’s tenure in Here We Go Magic and why it ended, Lizzie interning at a fashion magazine, fashion people are the worst, Katherine and taking up instruments to play in your first band, Boshra is an outta hand amazing bass player, Janka Nabay and the BuBu Gang, why Katherine followed Teeny’s lead, when the Lieberson sisters lost their father and came together in a band, the strength of Jen Turner, inspiring other women to make music, a dude, pros and cons of sibling-oriented bands, Boshra walks away, the road is weird, road managers can be useful, hating the band Live and Katy Perry, Madonna made me ill, The Godfather and The Godfather Part II, loving St. Vincent, Tame Impala, Pond, Joni Mitchell, Bob Dylan, Brian Eno, Kate Bush or David Bowie, the template is no template, this is TEEN, spelling The Way and Color, what are Foo Fighters, getting robbed of their gear in San Francisco, pledgemusic.com/projects/teen, the War on Drugs bring everything inside, not dying, knowing Islands, writing this winter, the song “Sticky,” and that’s it.